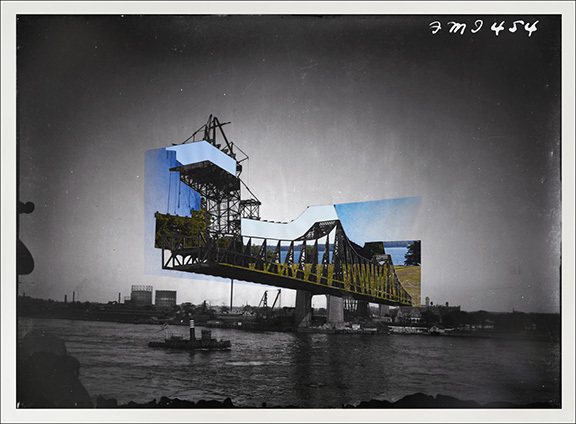 Julie Boserup’s collection of new work for Misleading Perspectives was commissioned by Sous Les Etoiles Gallery, and is the first-ever artist commission by the gallery. 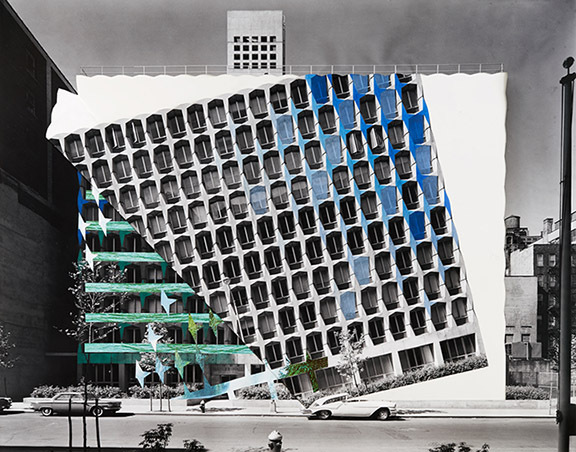 This exhibition was made possible with the support and assistance of the Museum of the City of New York, whose famed Wurts Brothers Collection served as the initial structure for Boserup’s unique series of large-scale collages. 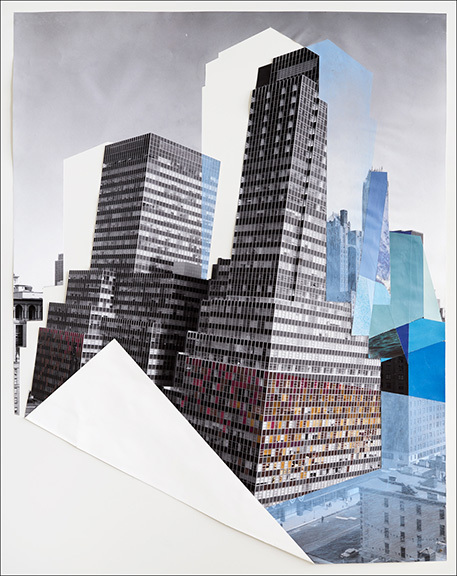 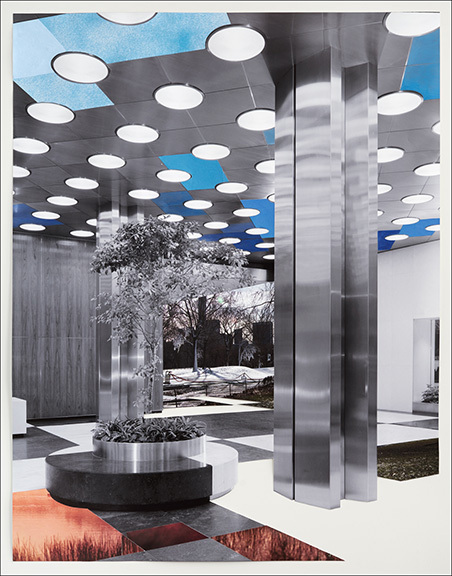 Inspired by the Wurts Bros.’s novel technique of aligning ground level shots of skyscrapers with images taken from the upper levels of a nearby building, Boserup adds found images, drawing, geological images and her own photographs shot in the streets of New York to an enlarged digital print from the archive.